I want to grow old with you. But not too old. 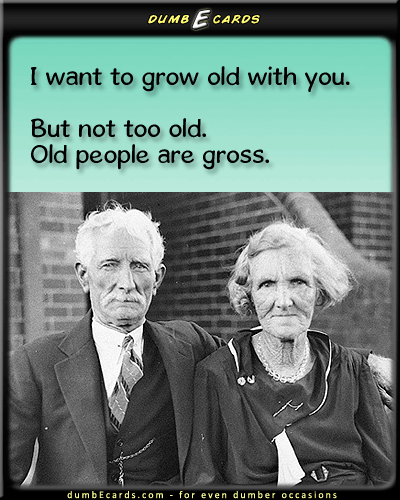 Old people are gross.